Spike Lee’s new “joint” could be seen as a monumental comeback to “Malcolm X”. Years after his revolutionary drama has hit the cinemas, the director re-visits the racist side of America. His newest feature “BlacKkKlansman” is based on the book by Ron Stallworth – a black police officer from Colorado Springs, whose innovative and bold investigation has exposed the real danger posed by the Ku Klux Klan. Right at the beginning of the film, Alec Baldwin (famous for his SNL impression of Donald Trump) proclaims a snappy monologue as a white supremacist, speaking to the hearts of “real Americans”. Baldwin forgets lines, mixes words and seems awfully butterfingered, but the sense of his words is terrifying. It’s a brilliant prelude, which sets the mood of “BlacKkKlansman” as a whole. It’s going to be fun on the surface, but the subliminal context will give you leave you numb. Spike Lee has made a wise choice to choose this exact story to look at the modern America through the glasses of the 70s. The director looks at the core of what we witness today and asks the question – was it always like that? 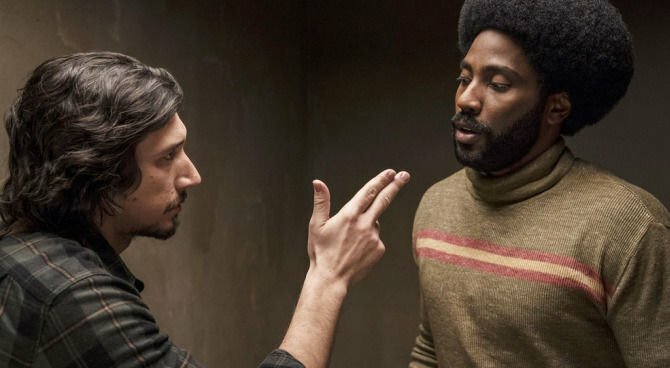 With every consecutive racist insult – often relieved by the witty dialogues – “BlacKkKlansman” becomes a stronger, more saddening manifesto. A claim that notwithstanding all of the great promises of change throughout the history, racism has been rooted too deeply in the hearts of Americans. And yes, the world hasn’t move that much. From the purely cinematic side, “BlacKkKlansman” feeds on its almost comic-book narrative, which requires the characters to be over-the-top, the story told fast and vintage style flicking up the senses. It all begins with its protagonist, Ron Stallworth, wonderfully played by John David Washington. Stallworth is a cowboy in a cop uniform, a man, who understands the need for a change and the only way it can be achieved (though he’s a solo ranger in that case). He’s a hothead and a rookie, but most importantly – a colorful and energetic lead. While Washington shines undeniably, “BlacKkKlansman” is fueled by its supporting roles too. 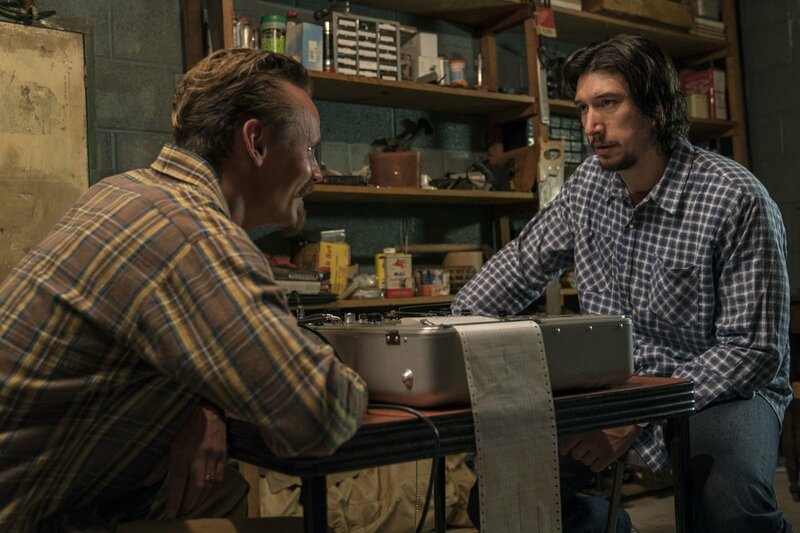 Adam Driver is brilliant as the white version of Stallworth during the investigation. Driver’s role is much more subtle, but captures the good cop type, whose redeeming traits are suppressed by the anti-snitching law among the fellow officers. Any subtlety cannot be mentioned in reference to the other side of the fence. Jasper Pääkkönen, known from “Vikings”, is stunning as a deeply hateful, mind-rotting redneck, who sniffs a conspiracy in the existence of Holocaust and feels his bigotry flourish whenever he sees an Afroamerican. Even the smaller roles – like the calming leader of the KKK in Colorado (Ryan Eggold) and the creepily outstanding David Duke by Topher Grace – help to carry the weight of the film. The entire Ku Klux Klan redneck party is appalling, but Lee dresses them in joker’s clothes. All of this stellar cast is very cautiously directed by Lee. The man behind the camera knows when to interweave contradicting scenes of black community gathering and the KKK initiation to underscore the irrational nature of the U.S. Each step is weighted, each choice – either it’s a song, a frame or a dialogue – well-thought. There’s simply no accident in “BlacKkKlansman”. 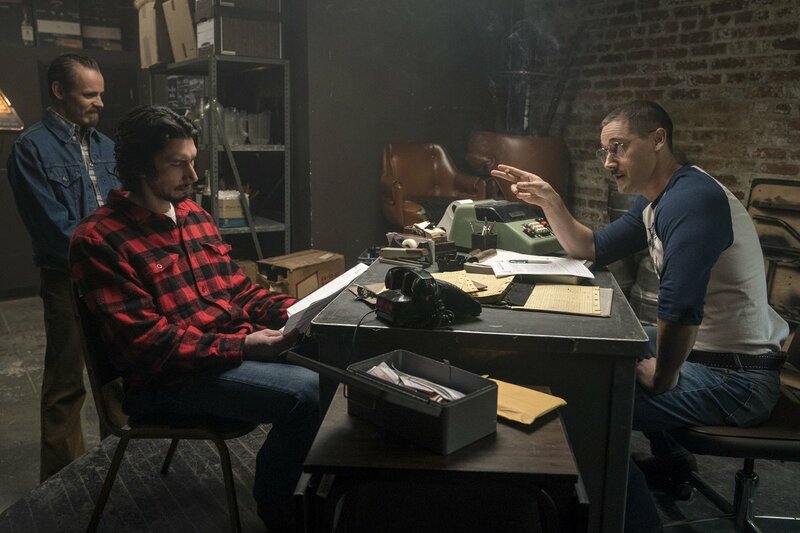 “BlacKkKlansman” is simply filmmaking at its best. Sharp as a razor, intelligent and thought-provoking. No wonder that Spike Lee’s new joint has created a heated debate upon its premiere and will probably keep on doing so. It’s a necessary kind of cinema – a self-aware lesson about history, which ties a 40-year old gap together to investigate the changes in the social mindset. Even if you laugh, you feel a dark hole growing in your heart. A vast pool of sadness, which creeps out from the inside as the story goes.